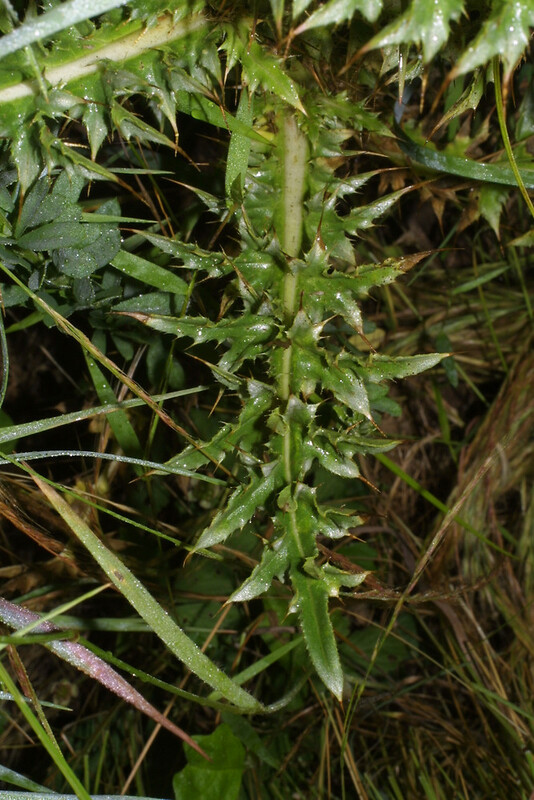 Nodding plumeless-thistle is among the most serious weeds in North America. 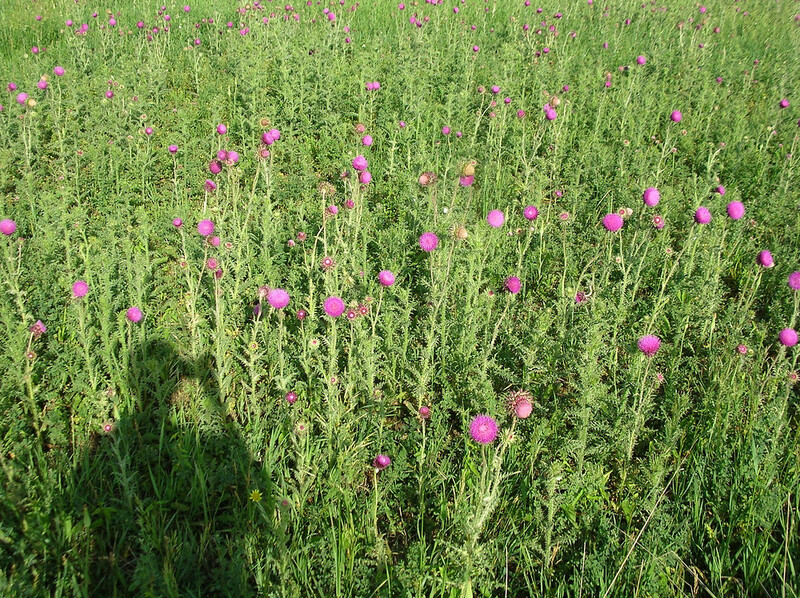 It is unpalatable to livestock and may form dense stands in pastures. 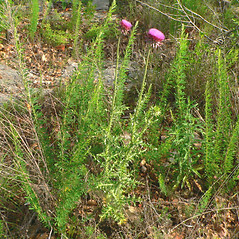 It prefers disturbed sites in a variety of habitats. 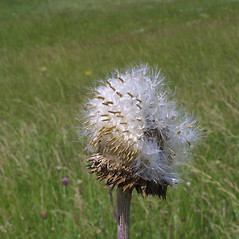 A single terminal head produces as many as 1200 seeds. 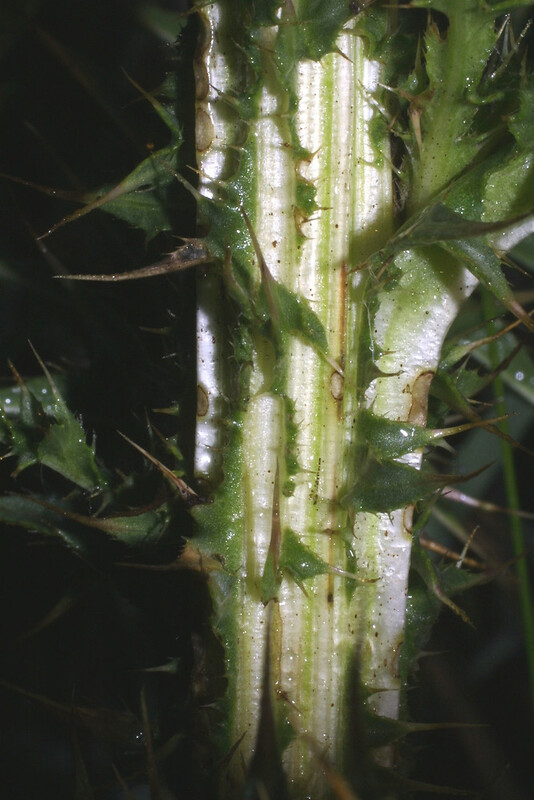 Efforts to control infestations with a European seed head weevil (Rhinocyllus conicus) may be successful, but unfortunately the weevil also attacks native thistles (Cirsium species). 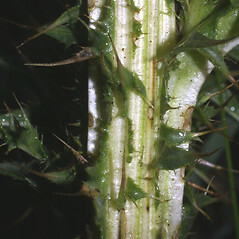 Carduus nutans L. ssp. 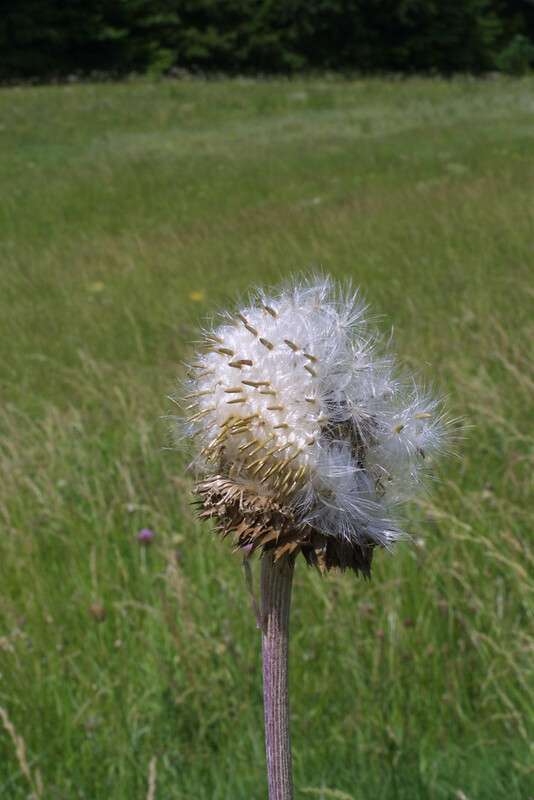 leiophyllus (Petrovic) Stojanov & Stef. 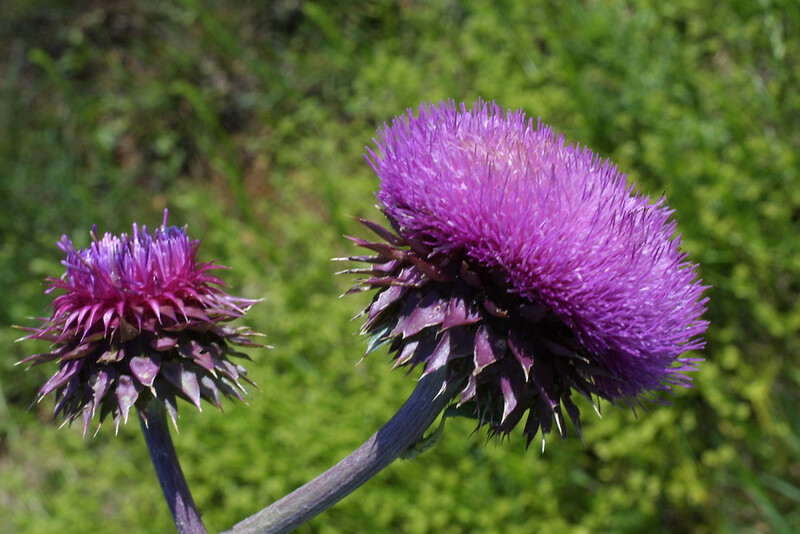 nodding plumeless-thistle. 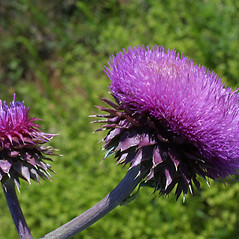 Carduus nutans L. ssp. 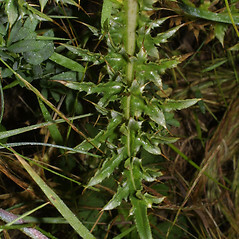 leiophyllus (Petrovic) Stojanov & Stef. 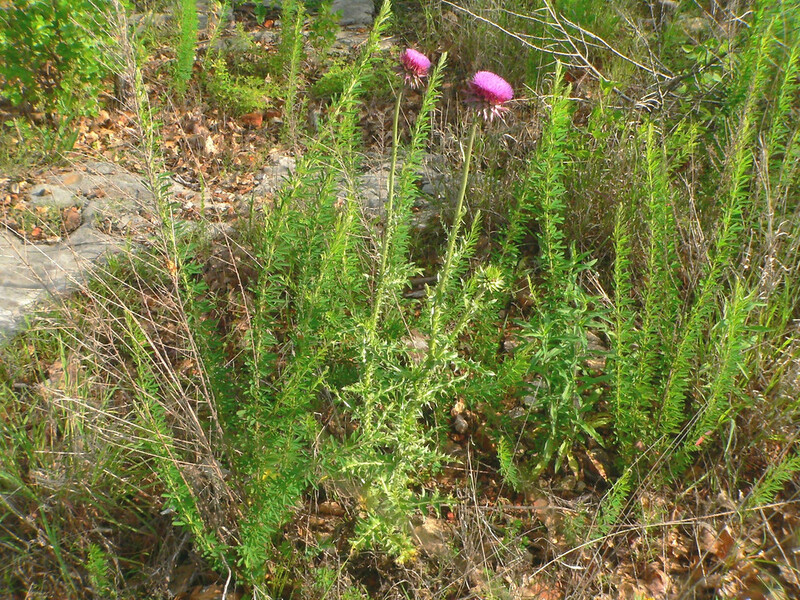 ; C. nutans L. var. leiophyllus (Petrovic) Arènes • CT, MA, NH, RI. 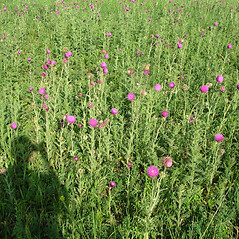 Roadsides, fields, pastures.